"Order today, your package is on its way"
"Order Today, Your Package is on the Way"
Terms and Conditions of Use By accessing and browsing the Site, you accept, without limitation or qualification, the Terms and Conditions and acknowledge that any other agreement between you and www.tonerinkexpress.com that may govern use of the Site, regardless of form, is null and void. We operate our business in the State of California County of Los Angeles. By doing business with us you agree that all disputes, regardless of whether we are the plaintiff or defendant will be settled in a court of competent jurisdiction for the County of Los Angeles. 2. While www.tonerinkexpress.com uses reasonable efforts to include accurate and up-to-date information on the Site, we make no warranties or representations as to its accuracy. We assume no liability or responsibility for any errors or omissions in the content on the Site. 3. www.tonerinkexpress.com has not reviewed all of the sites linked to the Site and is not responsible for the contents of any off-site pages or any other sites linked to the Site. Your linking to any other off-site pages or other sites is at your own risk. 6. Unless otherwise noted or agreed in writing, any items that you purchase through the www.tonerinkexpress.com site are subject to the Terms & Conditions of Sale. 7. All rights reserved. The content that we provide on our Web site, including, but not limited to, text, graphics, images, and logos, is owned by either us or the party that has provided the content to us and is protected by U.S. and international copyright laws. www.tonerinkexpress.com is the sole and exclusive owner of its compilation of this content on our Web site, and this compilation is also protected by U.S. and international copyright laws. CANON, EPSON, BROTHER, LEXMARK, HP, SAMSUNG, XEROX and all other brands are trademarks or registered trademarks of their respective companies. -- our state-of-the-art 30,000 square foot facility exemplifies streamlined production and remanufacturing excellence. We continue to create our own manufacturing techniques and production equipment while keeping the environment in mind. Based in Chatsworth, CA: State-of-the-art 30,000 square foot facility exemplifies streamlined production and remanufacturing excellence. Resell Accout for your business. We're always glad to arrange tours. Groups of students walking through our facilities learn about the importance of reusing materials, learn about assembly lines and quality control, and learn about the pride of American manufacturing. They also learn about the environment, and participate in fun activities that broaden their horizons. Get in touch with us today to arrange a tour! 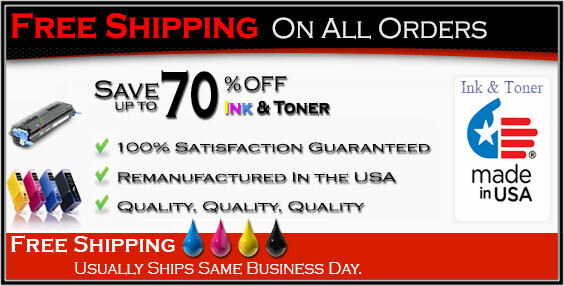 We remanufacture ink cartridges using the highest quality processes right here in the USA. When you buy our remanufacture ink and laser toner cartridges, you save up to 70%, and you help keep e-waste out of landfills. Environmental Benefits: Reuse & Recycling Ink and Toner Cartridges Thank you for recycling, our team is dedicated to saving our earth. Yaniv really knows printers. He is honest and fair. He even suggested that for what I needed for one of my printers I go elsewhere. For inkjets, everything comes next day and is guaranteed. Pricing is more than reasonable. Service is stellar. Oh my! We found this place by chance and found out they have AWESOME prices on ink! Instead of spending $30- at Staples for a single black cartridge (my Epson drinks ink...) I found them at TonerInk Express for $9! I think the prices vary per type of cartridge, so please call ahead and they'll help you price yours. TIPS: When you stop by, bring your old cartridge to recycle and save a buck. (Yes, then it's $8! WOOHOO!) The techs there are also very cool, I found out that my Epson drinks so much ink because it does 3 passes over each page to print...and that I should change my settings to conserve some. Nice tip! 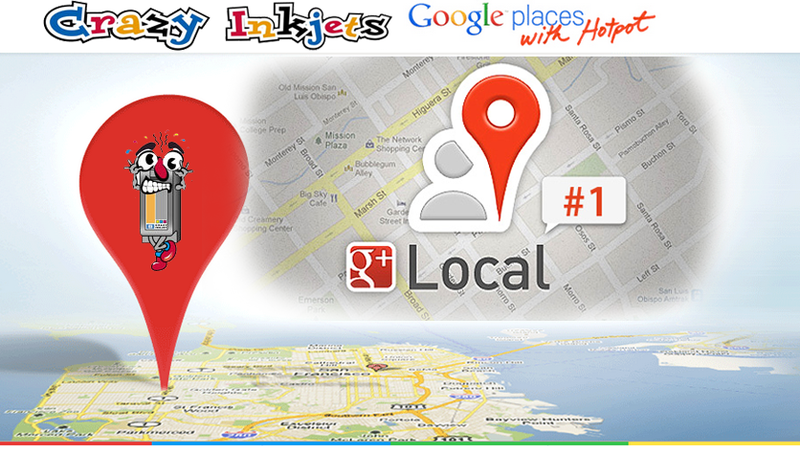 They also have other locations than this one, so check your area. :) Print on, my friend-but get your ink here! We have purchased ink from TonerInk Expresss and couldn't be happier. Going there we purchased the ink and the rep forgot about a promotion they were running. Later that week the owner called to apologize and gave back the difference to us without us knowing! We are always happy to buy from there and tell everyone to do the same! This company is amazing. I get all my ink at the best prices and I love their commitment to safe and eco friendly products. Go see Yaniv at TonerInk Expresss!!! I've been buying ink from here for a couple years now and I love it! They have the best prices and they recycle as well! Saving the planet one step at a time! I would recommend this place to anyone! My printer is about 4 years old, but it's good and works well. Wireless and all that. The black toner didn't work and the yellow was coming up as not registering because scumbag ink companies make it very hard for you to buy remanufactured ink, so you have to buy theirs at 2000% margins. So I buy my ink from these guys. Well, one of their cartridges didn't work and my black was completely clogged and I had no idea what to do. Yaniv told me to bring in the printer and he would fix it. I asked him "how much." His response? "You buy ink from us, so I'll do it for free, just keep buying ink from us." I hope that YOU start buying ink from them. They mail order and are super cool people and even if you have to pay a few extra bucks over amazon, you know who you're buying it from and if anything happens, I think I can speak for how they take care of their customers. I love these guys! They provide excellent customer service, great products, low pricing and they ship promptly. Once, I even called because I was interested in purchasing a new printer and the owner took his time to provide some recommendations after listening to my needs. Talk about above and beyond... I wouldn't go anywhere else. I called in and asked if they had my ink for my Brother 5250DN. Since my printer is older I wasn't sure if they would have it. They did so I went to the shop. I was greeted and processed. What a great shop, right there in Woodland Hills next to the Ameci's. The owner and his colleague were very friendly and informative. I learned about what is up and coming in the ink/toner world which was very interesting and even about the integrity of my machine that I thought I was ready to replace but not after talking with the shop. They cleaned up my drum and assisted me with the ink. The price was incredible and the service A+. What a great experience. TonerInk Express are in the know and they're environmentally conscious to boot. The bottom line is these guys are pros and it shows through their business. I will never go anywhere else to get my ink & toner. After finding TonerInk Express, Staples should be ashamed of themselves. Thanks TonerInk Express, my printer is singing. © 2015, tonerinkexpress®, All Rights Reserved.